In a land where stunning backdrops and sublime scenery are found at every turn, each journey here is sure to deliver a hefty dose of the beautiful to gaze upon. However, getting out there on horseback gives a thousand and one extra possibilities for true exploration, taking you where no road can. Such total immersion into the isolated and wild places of New Zealand make for real back-to-nature experiences of solitude, serenity and harmony. From an hour or two to week long safaris and experiences which take you from breathtaking beaches to the shadows of majestic volcanoes or from the heart of 'Middle Earth' to lush forests – here you can have it all whether you are a total novice or an experienced rider. Additionally the high standard of the country's equestrian industry is recognised on a global scale and the breeding of horses perfectly suited to trekking is all part of this. 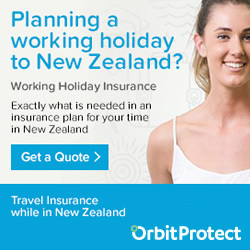 Horse treks are offered all over both North and South Islands. 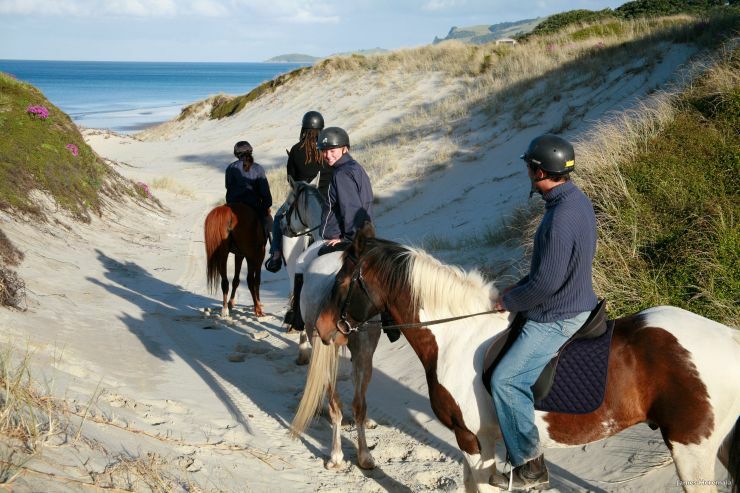 White sands, beautiful dunes and a blue, blue ocean make this a super popular choice for short treks but the main outfit here – Pakiri Beach Horse Rides - offer so much more than that. 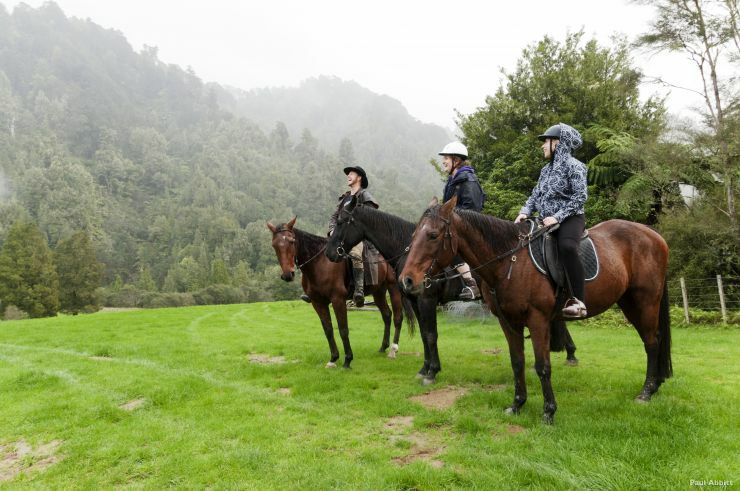 There are options which take in native bush, lakes, forest and farmland as well as the aforementioned beach right on through to week long safaris and even a coast to coast horseback trek in the hands of your Maori guides. Google some images of the geological phenomenon known as Pancake Rocks to see the kind of awesome backdrop in store for you here. Treks here typically give you the chance to breath in salt air with a beach section as well as the chance to explore verdant bush full of native bird-life, limestone cliffs and for good measure there is always a river crossing or two. 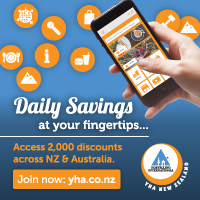 New Zealand's highest peak soaring high above its gorgeous Southern Alps national park setting with views of Lake Pukaki – what more could you need to feed your soul. These surroundings are a true natural playground for those on horseback and outfits here offer guided treks ranging from short 30 minute excursions to overnight camp/trek options. Glentanner Horse Trekking are one of the leading companies here. New Zealand's west coast typically offers a more rugged and somewhat wilder aspect than its east coast cousin. The sparkling black sands of Muriwai are a great example of how picturesque this can be. Horse treks here will have you splashing in and out of the surf, crossing dunes and rivers or taking a serene meander through pine forest with the ocean roar in your ears. Located less than an hour from Auckland this is a great location for an Auckland day trip to horseback with treks offered from 2 hours to half days. One of the best options here is 'we-go-in-all-weathers' Muriwai Beach Horse Treks who, according to the New Zealand Herald, are one of the country's top 5 choices. If the hard-to-get-to appeals you might like to sign up for a horse trek to the national park surrounded Blue Duck Station. Native bush, pine forests, tracks which skirt ridge tops and mountain scenery can all be found in the 5000 acres of terrain just made for a backcountry horseback adventure. Mountain surrounded, embraced by sparkling lakes and pristine national park territory and criss-crossed by glacier-fed rivers of impossible blues, these exceptionally breathtaking surroundings were used over and again for LOTR film locations. There is no shortage of choices for those intent on treks by horse here – quite possibly because there is no better place to do it. Two options are High Country Horses and Dart Stables who offer both the conventional trekking experience as well as trekking+ 4WD combos – all with a distinct LOTR flavoured theme. The vision of galloping on horseback through the surf, as free as the wind, along a picture-perfect beach is a common dream for many so it is little wonder that beach-based horse treks feature over and again. New Zealand – with its almost endless source of idyllic beaches - makes turning this dream into a reality incredibly easy and nowhere is this truer than the Wharariki beach area of the country. White sand beaches, dramatic surf-sculpted rocks complete with caves and rock arches and the chance to combine all this with hill climbs, tracks through the Kahurangi National Park and feast on amazing cliff-top views make this location ever-popular. If you are looking for a total immersion playing-at-cowboys horse trekking experience you might like to check out the multitude of options offered by Alpine Horse Safaris. With adventures ranging from 2 hours to 12 days you will find all the usual spectacular scenery - crystal lakes, impressive river flats, snow-tipped mountains, river gorges and so forth. But here the fun includes such delights as chugging your well-earned beer (or wine) around a camp-fire at the end of a hard day's trekking, filling your belly with tucker and a billy-boiled cuppa prepared over the same said fire before lying back to take in a sky sprinkled liberally with twinkling stars.